Geneva/Brussels, 2 December 2016 – Drones have become functional, user-friendly and cheap enough, to significantly help in humanitarian crises. That is one of the key findings of the research initiative “Drones in Humanitarian Action”, which was presented by the Swiss Foundation for Mine Action (FSD), in partnership with CartONG, UAViators and Zoi Environment Network during the EU Humanitarian Aid Annual Partners’ Conference in Brussels today. “With the help of drones, aid workers can make better decisions faster”, says Denise Soesilo, project manager at FSD. “The main challenge is no longer the technology itself, but for drones to become an accepted tool in situations where they make sense. Through our research we have seen that aid workers are very interested in the technology, but that there is still a lot of uncertainty. 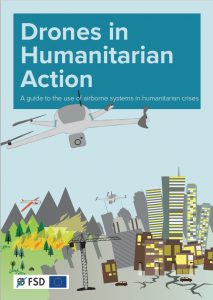 Our report will help humanitarian organizations understand, in which cases the use of drones can make a difference in the field”. "Drones have the potential to be a - literally - small, but important tool to help make disaster response faster and more targeted. The European Commission is supporting its partners in identifying innovations like these and learning from experience so that they become a useful element of humanitarian action," said Henrike Trautmann, Head of Unit Policy Development and Regional Strategy in the European Commission's Directorate-General for European Civil Protection and Humanitarian Aid Operations. The in-depth report is based on 14 case studies from 10 countries, as well as expert consultations, stakeholder meetings and a survey of humanitarian professionals in 61 countries. These showed that drones are particularly well suited for humanitarian response operations when they are used to create maps. Drones can take photos that have 10 times as much detail as satellite images. In addition, they can fly underneath cloud cover that often blocks the view from space. The results are especially useful in countries that experience recurring disasters such as floods, storms or landslides. Once drones have taken detailed images of an area, experts can create maps of areas that are at high risk. These maps can then be discussed with the local communities to see where the risks are and how these can be addressed. On the other hand, drones are not yet sufficiently powerful to transport the tons of relief items that are typically needed during humanitarian emergencies. However, the authors expect that the considerable interest in cargo drones by the commercial logistics sector will result in improvements in the near future. Search and rescue, mine clearance and firefighting are additional uses of drones that the report looks into. Many concerns related to privacy, security and the ethics of using drones are also still unresolved. “We generally found that local communities were very positive about the drones, but we have also seen that it is absolutely vital to involve them before and after the flights”, explains Audrey Lessard-Fontaine, project manager at CartONG. “Drones in Humanitarian Action” was co-funded by EU Humanitarian Aid and without any financial involvement of the drone industry. The full report and all case studies can be downloaded here. FSD is an international mine action organization based in Geneva, Switzerland. This private, independent, and non-profit organization was created in 1997. Since then, it has implemented a large number of mine clearance projects in more than 15 different countries. The overarching aim of FSD’s operations is to alleviate and diminish the social, economic and environmental impacts of landmines and unexploded ordnance, thus creating favorable conditions for the reconstruction and development of war-torn countries. CartONG is a French non-governmental organization committed to furthering the use of geographic information tools to improve data gathering and analysis for emergency relief and development programmes around the world. The Geneva based Zoï Environment Network is an international non-profit organization. Zoï’s mission is to reveal, explain and communicate connections between the environment and society. With over 2,500 members in 80+ countries, UAViators’ mission is to promote the safe, coordinated and effective use of UAVs for data collection and cargo delivery in a wide range of humanitarian and development settings. We do this by developing and championing international guidelines for the responsible use of UAVs. We actively promote operational safety and document lessons learned and best practices. The European Union with its Member States is a leading global donor of humanitarian aid. 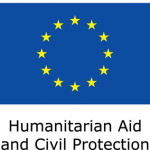 Through the European Commission’s Directorate-General for European Civil Protection and Humanitarian Aid Operations, the EU helps over 120 million victims of conflict and disasters every year. With headquarters in Brussels and a global network of field offices, it provides assistance to the most vulnerable people solely on the basis of humanitarian needs, without discrimination of race, ethnic group, religion, gender, age, nationality or political affiliation.